It’s a time-honoured tale. A property investor buys a ramshackle house. Following months of sweat, and probably a few tears, they turn the barely inhabitable space into a highly desirable home, promptly selling it for a handsome profit. For those of us living in Australia’s capital cities, facing some of the world’s most expensive house prices, it’s a tempting venture. 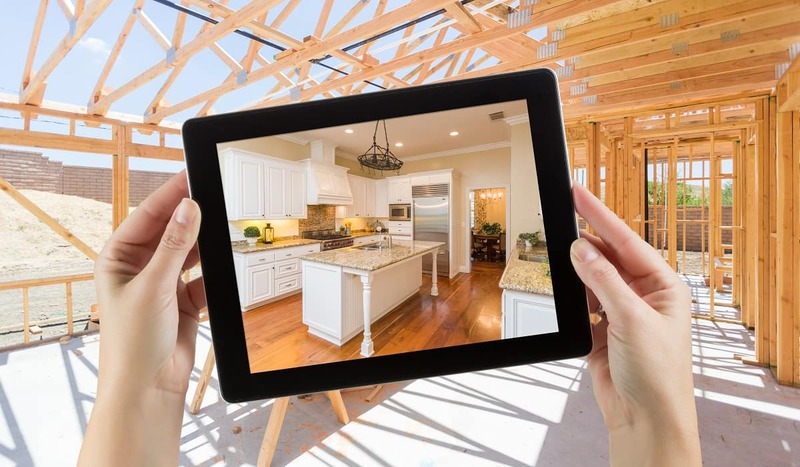 Through carefully renovating less-desirable properties in good locations, whether as a home or investment, you might be able to add substantial value to your asset. With the right renovations, you could turn your property into a vehicle for substantial wealth creation. But be warned – renovating can be stressful! Financial dreams can quickly turn into financial nightmares if you don’t do your homework. There are many factors to consider before embarking on the property renovation process. Here are three tips to consider to make your renovation journey a little bit easier. The success or failure of your renovation journey can hinge on selecting the right location. Do you plan to live in it? If so, what kind of lifestyle are you after? Do you want the property to be close to work? Public transport? Schools? Shops? Other amenities you regularly access? Older Australians may like to be in a ground floor apartment nearby to medical services. A quarter-acre block with a house would appeal to young families. An inner-city terrace may suit young professionals. Research the split between houses and apartments in the area and compare how prices have fared for both over recent years. Is there a difference between the auction clearance rates for houses versus apartments? Look at census statistics to see the age range of residents in the area to help identify the demographics of the local community. Find out the local employment rates and analyse the range of government services, including hospitals, schools and public transport available in the area. Check out the local commercial precincts - too many empty shops in the main street may indicate people don’t have much disposable income. Whether you end up living in the property, or selling it once the renovation is complete, you’ll be putting yourself in a strong position by doing your research. Buyer beware! The property you think may only require a quick, cosmetic renovation, may have all sorts of hidden problems. Before purchasing any property, you should consider calling in the professionals to undertake inspections, so you know exactly what you’re in for. First and foremost, you should consider a building inspection report to search for any structural defects or other potential problems, such as rising damp. Secondly, consider engaging a pest inspector. Termite infestations can cost you thousands. The last thing you want after embarking on a renovation is to be told the beautiful old hardwood floors need to be replaced due to white ants. Avoid these problems with a thorough pest inspection before you agree to buy the property. Map out your renovation plans and consider speaking with an architect, licensed builder, the council and your home loan bank before doing anything. You need to know the full cost of what you want to do, before you can decide whether you can afford to renovate. Major structural changes can increase the value of your property considerably; but they do take time, money and a lot of planning. But, if the big, structural changes aren’t going to work for your budget or timeframe, consider some easy home improvements you can do yourself. If you’re handy, you can transform the property without needing to do major, structural renovations. To learn more about your loan options for your next renovation journey, call us on 1300 747 747.